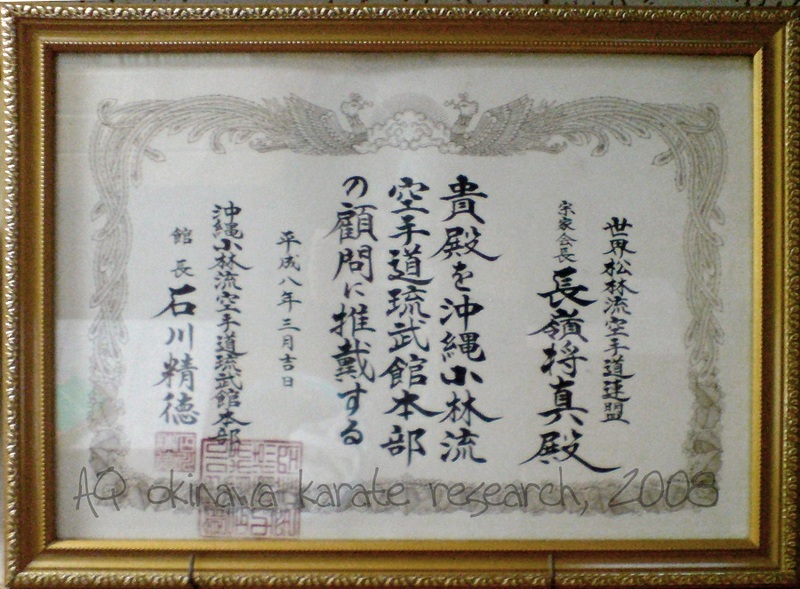 Certificate: Appointment of Nagamine Shōshin as a consultant of the Okinawa Shōrin-ryū Karatedō Ryūbukan Headquarter dōjō. Signed and sealed: Ishikawa Seitoku (1925 – 2013), considered one of the last true Shurite masters. This entry was posted in Misc, Unknown Ryukyu and tagged Ishikawa Seitoku, Nagamine Shoshin. Bookmark the permalink.